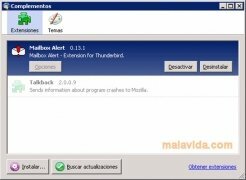 One of the best free email clients is, without any doubt, Thunderbird, that stands out due to its lightness and its power. And this is mainly due to the great functionality and possibilities that can be added to it thanks to plug-ins such as Mailbox Alert. 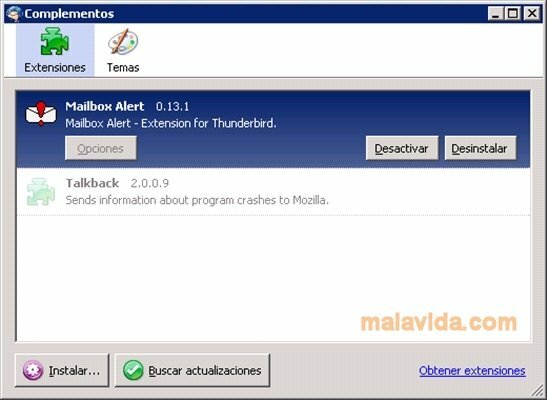 Mailbox Alert is an accessory for this famous Mozilla email client, based on Gecko. It is a utility that will allow us to identify each email we receive in the inbox, and specify what action we want to do to each type of file. Thus, each time we receive an email, depending on the type of file, and where it is stored it will emit a sound, a personalized message or command which we will have previously predefined. 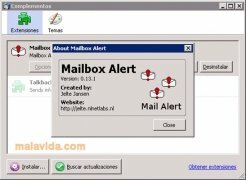 In an easy and simple way, you can greatly increase your email client's possibilities and its system alerts, to such an extent that you could actually control actions on your computer remotely by just using your email.